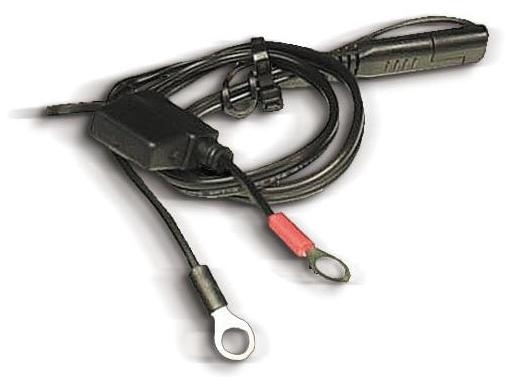 Ring Terminal Harness Accessory for use with multiple batteries. Black Quick Disconnect. For 12 volt models only. Contains a 3 amp fuse. 2 ft. long.